What do Jesus, Hercules and Authors have in common? Trials to reach ascendance. Now I’m not aiming to be blasphemous here to either Christian or Homerian followers, what I want to get across is the weight of the monumental tasks that we each face in our personal struggles. Similar to what Jesus experiences, we writers need to disavow our work at least three times before we can reach a place of appreciation for the opus we’ve created. 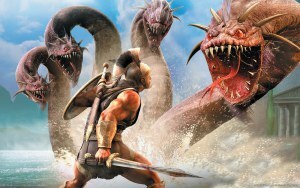 During each phase of denial to the work, we face horrendous challenges and must cut the heads from the hydra in order for our work to transcend.